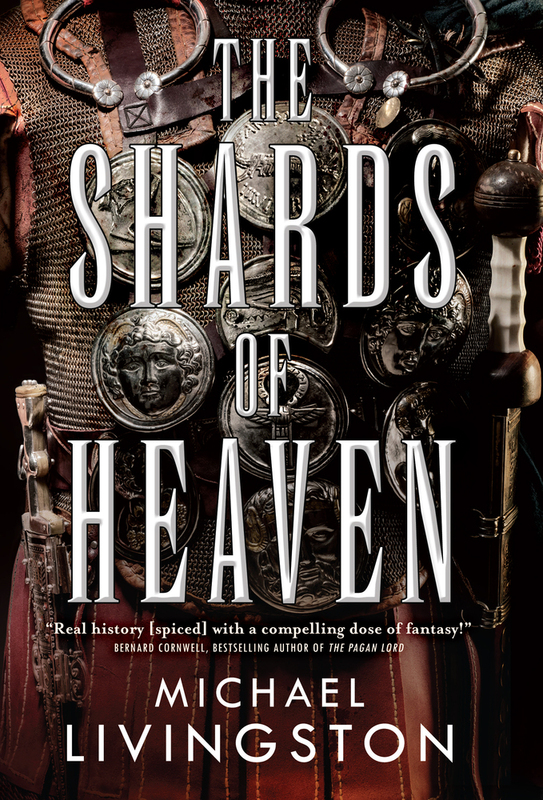 My new novel, The Shards of Heaven, is a historical fantasy. Part Indiana Jones, part Game of Thrones, this adventure takes place within our historical past, incorporating fantasy elements like the Trident of Poseidon as seamlessly as possible into the known facts of history. Indeed, if I have done my work well, one might argue that the Trident really was there at the rise of the Roman Empire—we just haven’t heard about it before. As you can imagine, this approach placed limits on what I could or could not do with the power of the Shards, and I confess this has always been a part of my fascination with the story. I wanted to do the mythological and historical interweaving of luminaries like Tolkien and Jordan (and now Martin), but I also wanted to take the extra step of making it a part of our “real” historical world. In a recent post on my website, I discussed how I had to construct a map of ancient Alexandria for my story, and here I’d like to share a little about researching a specific building in that city: the Great Library of Alexandria. Though the ancient city of Alexandria is perhaps best known for the magnificent Pharos Lighthouse, which was one of the seven wonders of the ancient world, it was the Great Library that was surely the more important cultural artifact. Constructed under the orders of Ptolemy I Soter (Alexander the Great’s general, who succeded him in ruling Egypt) and organized under the direction of Demetrius Phalereus (who had been a student of Aristotle), the Great Library was the single greatest repository of knowledge for some three centuries. We have little idea now about where it stood or what it looked like. Because the Library was originally organized by a student of Aristotle, I imagined that its vast array of holdings would be initially organized according to Aristotle’s ten divisions of knowledge. This, then, was part of the reason I chose a six-sided building: drawing walls between the outer hexagon and another at its center would give me six “halls” within the construction, all radiating out from a central hall that I pictured as being open all the way to the top of the dome, a reflecting pool at its center and staircases spiraling around its interior walls between the three floors of the building. One of these radiating halls would be a great entrance hall, lined with ten pillars and otherwise filled with scriptoria and administrative offices. The remaining five halls would each have two of Aristotle’s ten divisions, neatly and logically giving order to the hundreds of thousands of books and scrolls that would have been housed there. There was another reason I chose a hexagon shape: in symbology the hexagon is emblematic of the natural honeycomb, representing both the sweetness of knowledge and the busy, cooperative “bees” of the librarians toiling within. More than that, a hexagon fit into the symbolism of the Shards of Heaven themselves, which is grounded in a symbolic revision and representation of the classical elements. Plus, well, I thought a hexagon would just look pretty amazing. Whether it was reimagining the Great Library or reconstructing the Pharos Lighthouse, one of the immeasurable joys of writing The Shards of Heaven (and its coming sequels!) has been my need to breathe new life into our past by rebuilding it—sometimes brick by brick—for a modern audience. I can only hope that readers will love seeing the results of this work as much as I enjoyed building it behind the scenes. Follow Michael Livingston on Twitter at @medievalguy and on his website. This looks awesome! I’ll check it out.